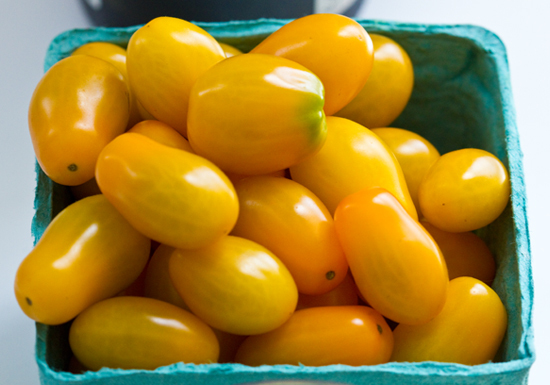 Plump, juicy, sweet and yellow cherry tomatoes. luscious tomatoes! perfect side dish with fried fish. :p yon yata ulam ko mamaya. i agree sarap nito as side dish with soy sauce then fried fish perfect na and meal :) Happy mym! With your tomatoes and my mangos, I could be a very happy eater! Do not be left out in the cold! lovely tomatoes! Mine is HERE. Happy Monday! Oh my gush I love this one. Can't wait to plant this kind of tomatoes this year. The color is so sharp I thought it was pears but when I really look at it. Yeah it was the shiny tomatoes. wow! those look really yummy! Always seen and eaten red cherry tomatoes...this colour is lovely too.